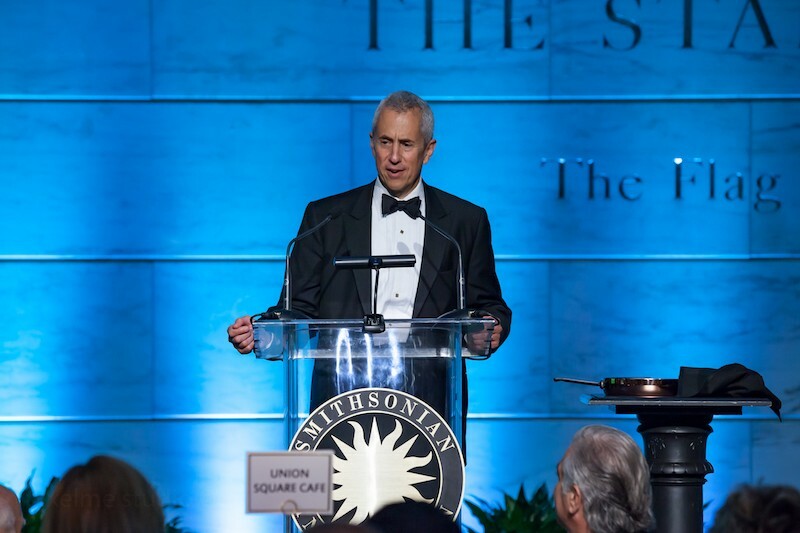 Danny Meyer shares remarks at the Smithsonian Food History Gala. On October 26th, The Julia Child Foundation for Gastronomy and the Culinary Arts honored Danny Meyer with the third annual Julia Child Award in conjunction with the National Museum of American History in Washington, D.C. at the Smithsonian Food History Gala.The evening, which kicks off the Smithsonian Food History Weekend, brings together culinary leaders, foodies, practitioners, and scholars together to benefit the research programs and exhibitions of the museum’s Food History Project. 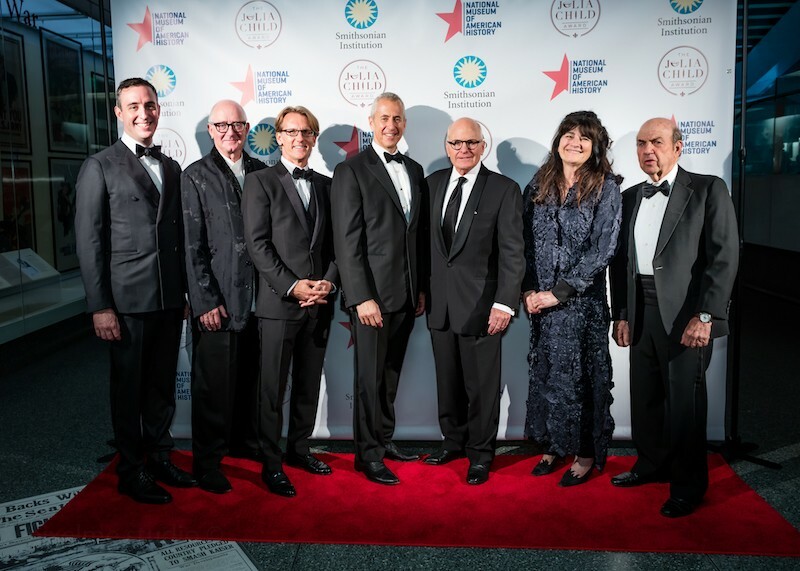 The Foundation selected Meyer as the 2017 recipient of the Julia Child Award for his profound and significant impact on the way America cooks, eats and drinks. In addition to being honored with the award, Meyer has received a $50,000 grant of which he will donate to Share Our Strength’s No Kid Hungry program, to help fulfill its mission of ending child hunger in America. 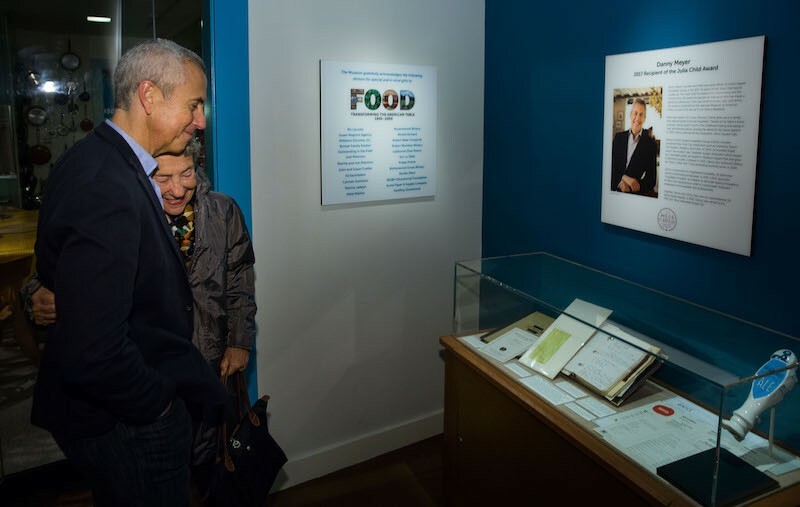 Danny Meyer and his mother viewing his contributions to the Smithsonian Food History Weekend Exhibit. Meyer donated several items to the National Museum of American History that represent his early career, which were unveiled at the gala, including: a leather-bound journal stuffed from 1985, the year Meyer opened his first restaurant, Union Square Cafe, at age 27, a red-and-white striped Brooks Brothers dress shirt worn by Union Square Cafe waiters in the 1980s, comment cards filled out by guests on the 10th anniversary of Gramercy Tavern, a beer tap handle for Brooklyn Brewery’s Blue Smoke Original Ale and a series of coasters from Blue Smoke and more. These items will remain on display for public viewing throughout the Smithsonian’s Food History Weekend.